With offices all over the world relying more and more heavily on technology in order to conduct their daily business, buying batteries can become a large expense.Making the switch from disposable batteries to rechargeable batteries can have several benefits for any office and business. In the current economic climate, companies all over the world are trying to find ways to save money and cut costs wherever they can. Using rechargeable batteries instead of standard disposable ones can save your business thousands of pounds in the long run. 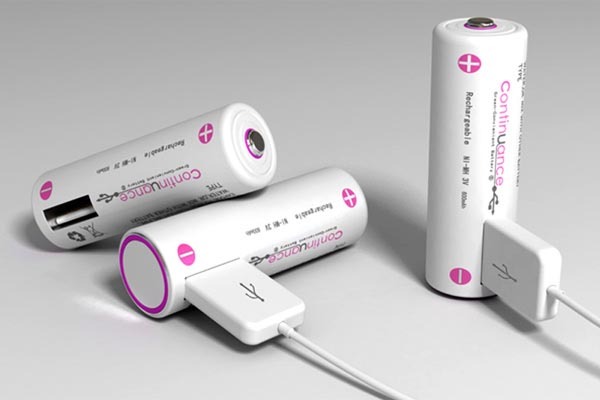 Rechargeable batteries are capable of being used more than 500 times each. That is 500 batteries your company won’t need to buy for every rechargeable one your office uses. Even if you think that the cost of rechargeable batteries and chargers isn’t worth making the initial, they will more than prove their worth in the long run. Rechargeable batteries also offer a better performance than disposable batteries. Rechargeable batteries use 1.2 volts of energy the entire time they are in use. Disposable batteries start using 1.5 volts but progressively give off less output as they reach the end of their life. By choosing to use rechargeable batteries throughout your office, you can be sure that you’re getting peak performance at all times. Some battery chargers also offer a ‘refresh’ option, which means that they drain the battery fully before re-charging. This keeps the battery at optimum performance and ensures the battery will last a long time. Battery chargers are constantly evolving; becoming more reliant, convenient, durable and easy to use. They come in a variety of designs and some are capable of charging several different kinds of batteries, making them suitable for all your office needs. Battery chargers, from here at Buy A Battery, are capable of charging in a number of ways – not just the standard wall outlet. Battery chargers can be powered through car ports and USB ports too, making them extremely convenient in the office and telecommuting environment. Rechargeable batteries are also much better for the environment compared to standard disposable batteries. Choosing to make the switch to rechargeable batteries reduces your office waste, as they don’t need to be replaced, just re-charged. Also, using a battery charger is much more energy efficient than constantly replacing batteries, when the cost and energy used in making them is considered. By using disposable batteries in your office, you’re running the risk of inconveniencing yourself if you should ever find yourself without any replacements. Using rechargeable batteries means you can ensure that your office equipment can always be kept running. Many chargers now offer the ability to give a decent charge to batteries in just 15 minutes. Most companies will now even deliver pre-charged batteries to you to save you time giving them an initial charge. These batteries can hold their charge for up to 12 months if not used, so you can buy them and keep them stored.